Delivers 25 Highway MPG and 20 City MPG! 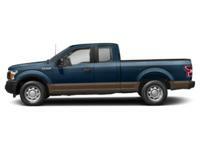 This Ford F-150 delivers a ENG: 2.7L V6 ECOBOOST engine powering this Automatic transmission. Wheels: 17/ Silver Painted Aluminum, Variable Intermittent Wipers, Urethane Gear Shift Knob. 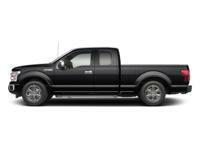 * This Ford F-150 Features the Following Options *Transmission: Electronic 6-Speed Automatic -inc: selectable drive modes: normal/tow-haul/sport, Transmission w/SelectShift Sequential Shift Control, Towing Equipment -inc: Harness and Trailer Sway Control, Tires: P245/70R17 BSW A/S, Tire Specific Low Tire Pressure Warning, Tailgate/Rear Door Lock Included w/Power Door Locks, Tailgate Rear Cargo Access, SYNC -inc: enhanced voice recognition communications and entertainment system, 911 assist, 4.2/ LCD display in center stack, Applink and 1 smart charging USB port, Steel Spare Wheel, Single Stainless Steel Exhaust. 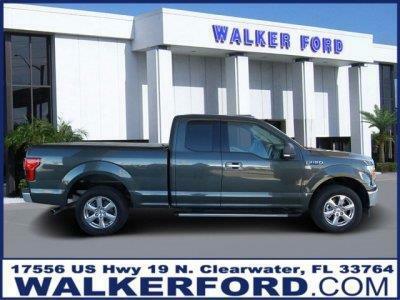 * Visit Us Today *Come in for a quick visit at Walker Ford, 17556 US 19 N, Clearwater, FL 33764 to claim your Ford F-150! Walker IS Ford! Invoice Pricing? Employee Pricing? Tired of the gimmicks? Get the lowest price, the best customer service and HUGE selection every time at Walker Ford. Stop in today, we are conveniently located off US 19 in Clearwater, view the map for direction, and don't forget to check out our 5 star reviews while you're at it!